A whimsical study of a Mouse grooming himself. Brenda Putnam modeled and cast several small animals mainly as amusement and as gifts to personal friends. She is known for her larger garden sculptures but her small Rabbits and Mice have a unique charm. 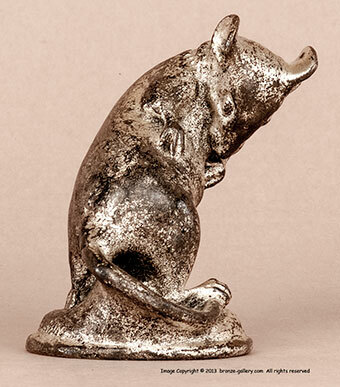 Another example of this bronze Mouse is in the collection of Brookgreen Gardens and was a gift from the artist to Anna Hyatt Huntington. 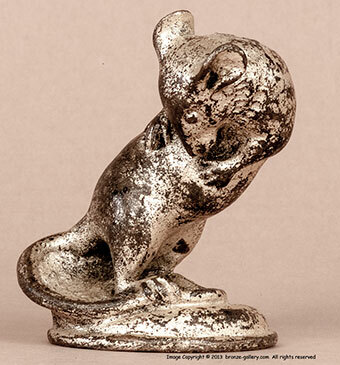 This fine small bronze Mouse Grooming was cast by the artist in about 1940. It is finished with a silvered patina.